All events, no restrictions, one attractive fee: that's the deal on offer from Haute Route, who today launched their new Infinity Pass offering subscribers unlimited access to the full 2019 series of cycling events. For a fixed annual price, riders can now experience 13 Haute Route events for less than the price of a single seven-day event, including new Haute Route trips to Oman and Mexico. It's an offer that is likely to hold huge appeal for anyone who's already earmarking 2019 as a big cycling year. Haute Route's Infinity Pass riders will have access to exactly the same service as non-subscribers on as many three- or seven-day tours as they wish. The new annual Infinity Pass entitles holders to unlimited access to Haute Route's 2019 series. 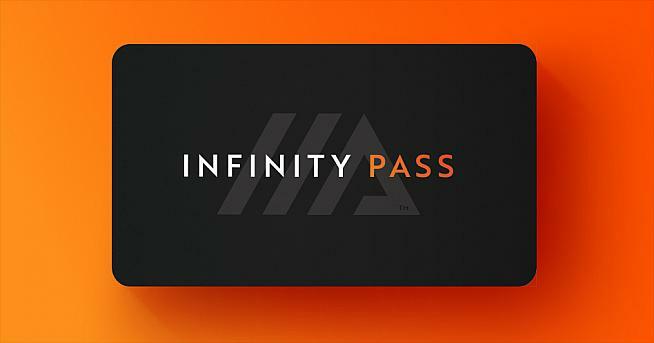 The Infinity Pass will be available for purchase in three phases in 2018. The first tranche of 50 passes priced €1250 were launched today and have already sold out. Haute Route have now released a further 500 Infinity Passes for €1450 (that's still cheaper than two regular entries into a three-day event). Once this second phase has been sold out, the final Infinity Pass roll-out will commence for €1750, which is only €50 more than a regular entry into a single seven-day event. Put simply: for nearly the same price as a regular seven-day event, the Infinity Pass lets you experience all the Haute Route destinations from March to October with no restrictions in entry. Following the introduction of the Infinity Pass, the Haute Route will open single event registration for all Haute Route events on Monday, October 8th with a simplified entry fee structure. The 3-day and 7-day events will cost €650 (US$750) and €1450 (US$1650) respectively as early-bird prices while for regular entry, the 3-day and 7-day event will cost €750 (US$850) and €1700 (US$1,950). 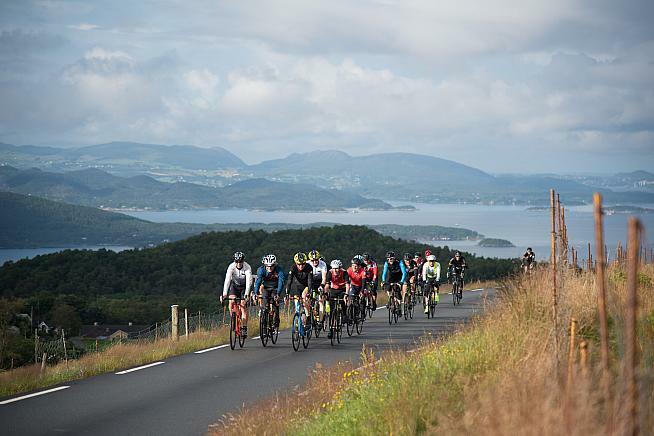 Cyclists tour the fjords at Haute Route Norway. Haute Route's global expansion continues with the 2019 calendar marking a debut for the Haute Route Oman and the Haute Route Mexico. These new destinations will supplement the existing events which have helped establish Haute Route as one of the cycling world's most prestigious multi-day events for amateur riders. Haute Route Oman, taking place from March 1st to 3rd 2019, will allow the Haute Route peloton to experience a country renowned for its incredible scenery and fantastic riding. The main draws of the Haute Route Oman experience will be the magnificent Al Hajar mountain range and the iconic Jebel Akhdar which is one of the country's most spectacular locations. Oman has a well-deserved reputation for the warmth of its welcome, the hospitality of its people and the authenticity of its culture. From October 18th - 20th 2019, the Haute Route will arrive in Mexico for the first time giving cyclists the chance to experience the best climbs of Valle de Bravo. Valle de Bravo is considered one of Mexico's pueblo mágicos (magic towns) thanks to its pine and fir forests carpeting the surrounding hills and its legendary Lago Avándaro. Though it's been likened to holiday hotspots like Lake Como, Valle de Bravo offers a quintessential Mexican experience without parallel. Following the expansion of Haute Route in North America in 2018, these all-new three-day events herald the global expansion of the Haute Route beyond the shores of its already iconic destinations in Europe and North America. These new and exciting locations are ready for the cycling community to explore and enjoy some of cycling's stunning destinations. Rémi Duchemin, Founder and CEO of the Haute Route Cycling Series, declared: "The Haute Route has been a pioneering force in the global endurance sports industry and the launch of the innovative Infinity Pass will cement our position as a leading player in amateur cycling. "We felt compelled to take a leadership role in making our cycling experiences available thanks to our pricing model which is unprecedented throughout endurance sport. Cycling is now a truly worldwide phenomenon and we believe that the Infinity Pass will allow cyclists to experience exciting cycling events across the globe with the best value proposition in the market." Rémi Duchemin concluded: "I'm delighted to expand our Haute Route concept in the Middle-East and Central America which will allow us to offer a range of enthralling destinations to our high-end competitive riders coming from 50+ countries." To find out more information about the Haute Route Cycling Series 2019 and the Infinity Pass, visit: https://www.hauteroute.org/infinity. 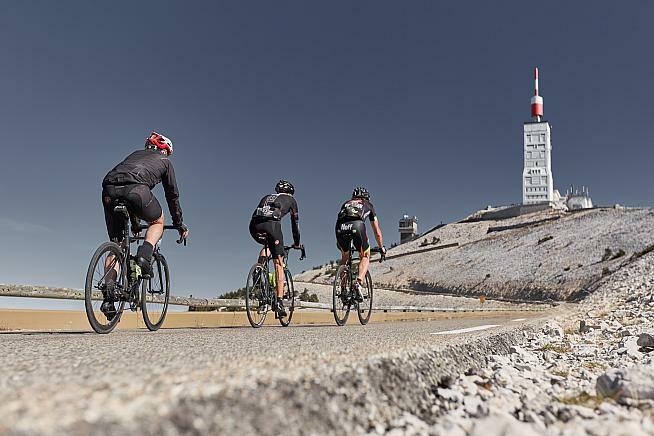 Haute Route Ventoux takes place in October.